Imagine a world in which the water quality of every litre delivered to every customer was known in real time. What would that mean? At a very base level it would be evidence. Evidence that the network is under control. Evidence that, if an incident does occur, can be used first to better investigate and secondly used to develop better control strategies. Quality related customer contacts (taste, odour, colour) should become a thing of the past as the real time information will be used to forewarn of any quality issues or even better to manage the network in such a way that sub standard water is never delivered to a customer. How much is that worth? Most water company ODI’s have sizeable penalties once the target number of contacts has been exceeded and even bigger penalties should a larger incident occur. A water network in which strategic mains self-clean and self-refurbish by raising the flow under the control of in line turbidity monitoring is not science fiction. Several water companies already do this. One company projects savings of £150 million on its water network cleaning budget. Another identified savings of £4 million on a single trunk main refurbishment scheme. Having water quality sensor systems in place demonstrates knowledge management and control of the distribution system, water quality, all things that the regulator is always looking for and also rewarding. The DWI talks of rewarding “frontier shifts”. Deploying water quality systems into networks, harnessing the data they provide to better manage the network will be such a frontier shift. Drinking Water Safety Plans (DWSP) are vital to the way all UK water companies operate. 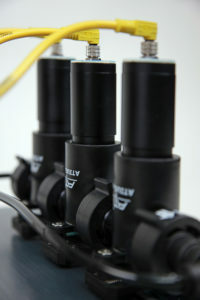 How could water quality sensors help? Any safety plan has to have a risk assessment as a key component. Risk can be far more accurately determined if it based on real data from the network rather than the patchy snap shot data sets that largely exist now. In summary, there is more than just a “gut feeling” that water quality will deliver real and significant value. Can the number be calculated in 100% rigorous way? No but the value delivered by the sum of better evidence, penalties mitigation, reduced customer contacts, improved SIM score, automation of network processes and many other benefits does (in the opinion of this author at least) far outweigh the costs of obtaining the data. Some UK water companies are already well on the road to having these systems installed. Interesting times for sensor manufacturers are ahead.